Piers Morgan has said he would win I’m A Celebrity… Get Me Out Of Here! after chasing his Good Morning Britain co-stars with a tarantula. Piers is chasing Laura, Susanna and Kate around the studio with a giant spider. Morgan joked that it was “harassment in the workplace”. He also said he thought he could win the jungle-based reality show because he is “utterly fearless”. He was shown a clip of I’m A Celebrity presenters Declan Donnelly and Holly Willoughby saying that he could never take part in the series because he does not have the “guts for it”. Morgan said, still holding the tarantula on his hand: “This is how many guts I’ve got, Declan Donnelly. “This is what it takes to win I’m A Celebrity. You give me, let’s say, £10 million, and I’ll fly in tomorrow and win it. Morgan also revealed a potential clash in the I’m A Celebrity jungle following the news of the latest arrival, Noel Edmonds. He said: “I think Harry Redknapp and Noel Edmonds are not going to get on. 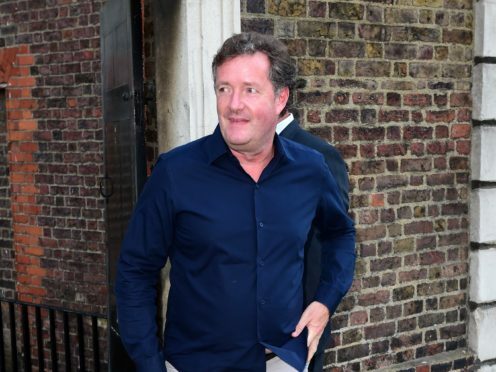 Susanna Reid to Piers Morgan: I’m not your wife!